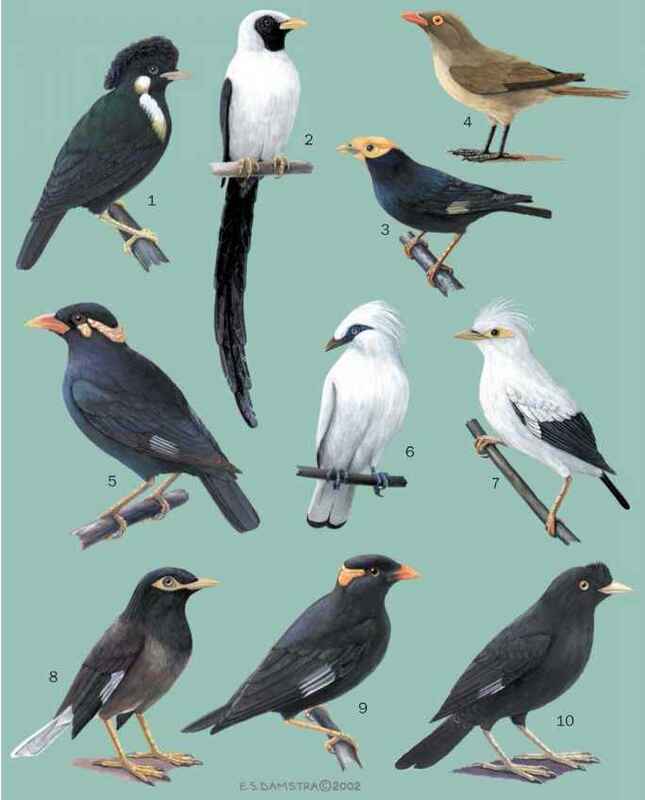 English: Scrub blackbird; French: Quiscale chanteur; German: Trauerstarling, Buschstarling; Spanish: Tordo Cantor. 9-11.5 in (23-29 cm); 2.9-3.6 oz (83.5-102 g); females somewhat smaller than males. Sexes similar in color. Entirely black, showing slight iridescence, with a black eye, and moderately long tail. Juveniles are brownish black, and lack iridescence. Tropical lowland forests, secondary forests, pine forests, edge, and settled areas, from sea level to 6,600 ft (2,000 m). "bill-up" flight). In winter, pairs may gather into small groups, flocking sometimes with grackles and cowbirds. Sometimes roosts in dense cane with other blackbirds. Forages mainly on the ground, commonly on lawns and other cleared areas. When foraging in trees, they pick insects and larvae from foliage, and drink nectar from flowers. Their diet consists of seeds, fruits, nectar, and invertebrates (especially insects). Monogamous. The nest is an open cup placed in a bush or tree; both sexes assist in building the nest. Three to four eggs are laid in April-July. Incubation about 14 days; information on fledging not available. Single brooded. Not threatened. 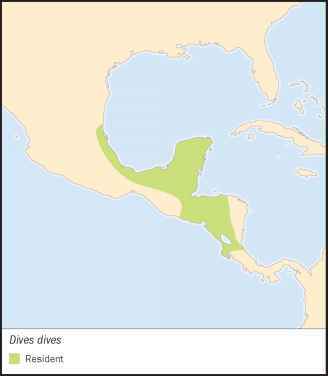 Common, and expanding its range southward into the Pacific slope of Guatemala, El Salvador, and northern Costa Rica, probably as a consequence of clearing of land for agriculture.